The Bethel Police Dept. 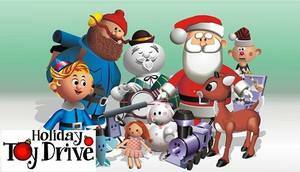 would like to invite you to "Stuff" a cruiser with Toys and Clothing for local children on Dec. 15th from 10:00 am to 2pm. Those wishing to donate should bring donations to The Toy Room during this event. If you are unable to attend this event please drop your donations off to the Bethel Police Dept. at 12 Judd Ave.